An important way to combat global warming is to switch our electricity supply to “green” electricity (generated from wind- and solar-powered sources, both of which do not emit carbon dioxide). 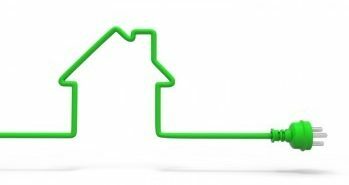 Many suppliers offer green electricity for purchase by Montgomery County residents, but their offerings can be difficult to compare – due to differing terms, conditions, and other relevant considerations. The process of signing up for a supplier is done online and is simple – you will need to consult a copy of your electrical bill to provide your current utility account number as part of the sign-up process. The EPA recommends buying green electricity from suppliers that have undergone third-party validation – in the United States, the non-profit organization that provides that independent check is Green-e. The first PEPCO region project, to be built on a brownfield site in Prince George’s County, is now soliciting subscribers (organized by Neighborhood Sun). Subscribers receive credits on their electricity bills that will be 5% greater than what is paid PEPCO, resulting in an overall savings. As a legal matter, you are not buying the solar power generated by the facility itself, but you are directly incentivizing such facilities in Maryland while saving money overall. You may be able to combine this support with buying your personal renewable energy through one of the suppliers in Option 1. 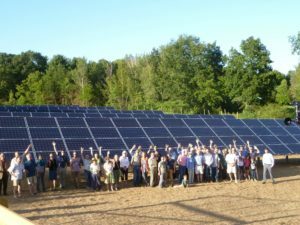 This article was prepared in June 2018 by the Montgomery County Faith Alliance for Climate Solutions Working Group on Clean Electricity members are: Jon Foreman, Jack Lebowitz, Joelle Novey, Bob Simon, Stuart Simon, Doneby Smith, Gary Steinberg, Nancy Wallace, Walter Weiss, and Diane Wysowski. Data current as of June 2018. 2 comments on "Buying green electricity for your home"